Splish-Splash, I Was Takin’ A Bath? Bri loves her baths, or “bas,” as she calls them. She can’t strip down fast enough when it’s time to get into the tub. 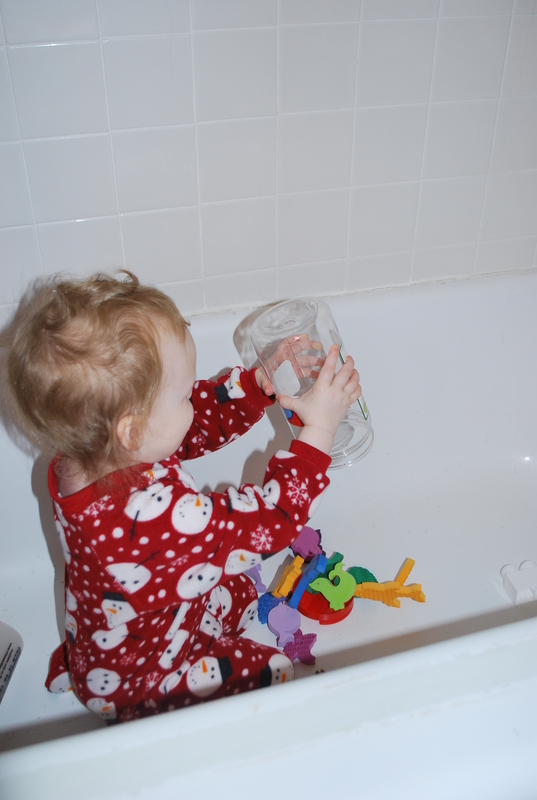 She has a blast with the bubbles, the cups and the bath toys. The only drawback is getting her hair washed. Something about water in her hair triggers wailing and uncontrollable thrashing. I have yet to figure out the cause of this. But I digress. This morning was a particularly whiny morning. Nothing was making her happy. She wouldn’t eat much, didn’t want to play with her toys and it was too early for a nap. So when she followed me into the bathroom, whining, I told her to stop, use her words and tell me what she wanted. 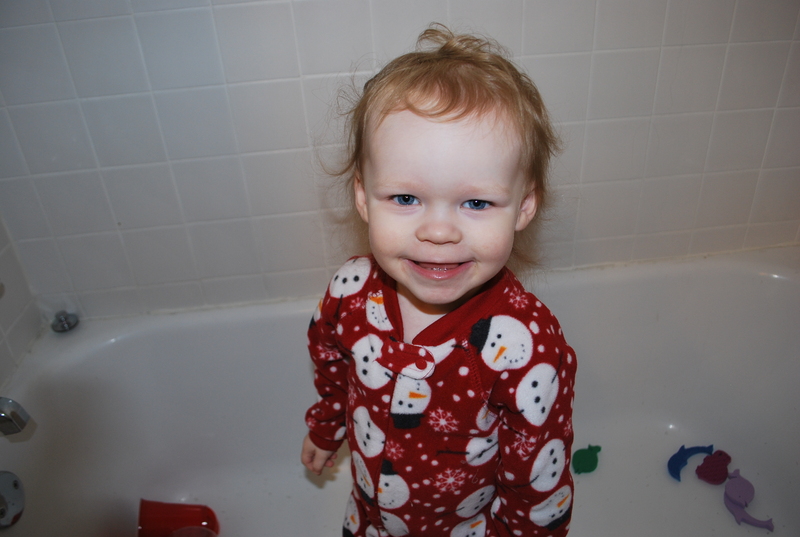 She proceeded to point at the bathtub and say, “Bas, pease!” in the most adorable, pleading tone. I told her it wasn’t bath-time yet. She said, “No, bas, pease! 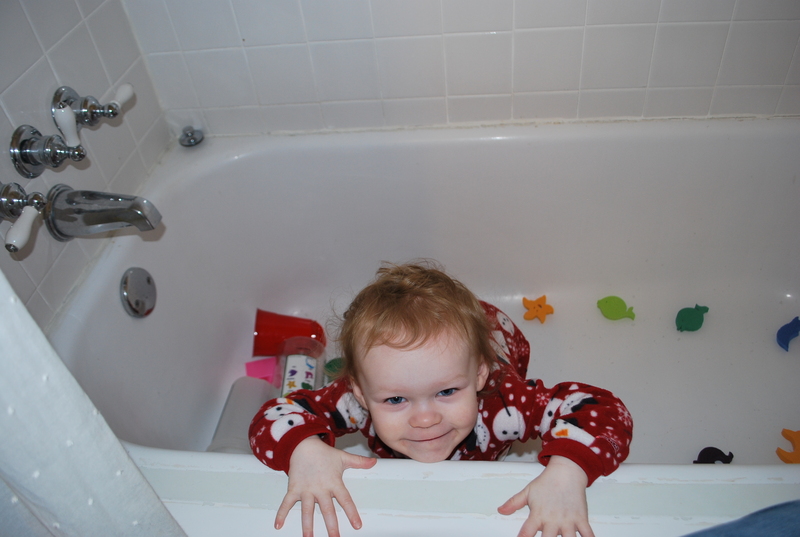 !” When she started trying to climb into the tub on her own, I gave in and lifter her over the edge. She was THRILLED. 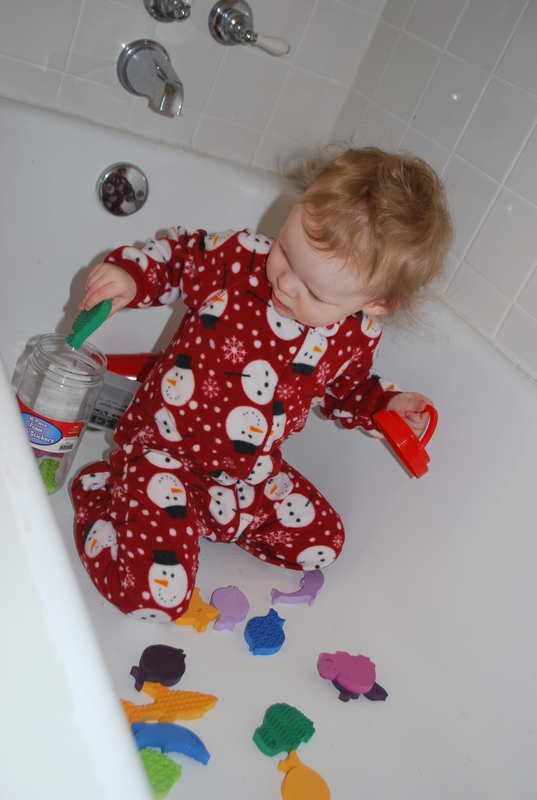 The child plopped onto her bottom, pulled out the bath toys and played in the dry bathtub, fully clothed, for an hour on her own. I really thought she would want to get out when I left the bathroom, but she didn’t. She sat in there contentedly chattering and playing and didn’t even seem to realize that I’d left.